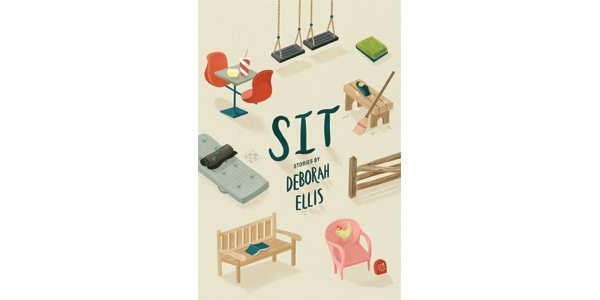 Children, like dogs, are often told to “sit.” But in Deborah Ellis’s new collection of 11 short stories, the kids are much too rambunctious for that. In “The Glowing Chair,” Miyuki is a 12-year-old Japanese girl temporarily living with her father and brother in an emergency shelter. A tsunami and nuclear accident, just like the real ones of 2011, killed Miyuki’s mother and forced the remainder of the family, along with thousands of others, to flee. Miyuki is determined to rescue Hisa, her mother’s pet donkey, which the family had to abandon when they left. But the girl’s father has forbidden such action because of high radiation levels around their former home. “All your hair will fall out and you will get sick,” warns the father. Despite this admonition, Miyuki sneaks away, finds the donkey and leads it to safety. They are soon joined by several abandoned dogs that are reunited with their owners. Most children will celebrate the reunion of pets with their masters. But parents may be uncomfortable with the implied lesson that sometimes it is best to disobey parents and risk physical harm. This confluence of daring and disobedience is found throughout Sit, the second short-story collection from Ellis. The author, who has won a Governor General’s Literary Award and a Vicky Metcalf Award, among others, is best known for her Breadwinner series of books about courageous young Afghan children. Some of the stories in Sit also deal with children in the developing world, who refuse to let their spirits be broken by hardship. The opening story, “The Singing Chair,” is a bittersweet, fable-like tale about Jafar, a boy toiling for cruel bosses in an Indonesian furniture factory. Jafar, who is secretly learning to read and write, carves short poems on the bottoms of the chairs he makes. Jafar cannot see the wider world, but his poems will. This brings him joy. “The Hiding Chair” is the story of Noosala, an Afghan girl locked with other refugees in a squalid room in Uzbekistan. Noosala engineers an escape by disobeying the Uzbeks, opening the window drapes, and signalling to some children below for help. these characters employ might potentially inspire kids facing similar dilemmas. Each story ends happily – from the child’s point of view – thanks to the pluckiness and determination of the young protagonists. A social worker in one story and a teacher in another are both positive influences on children’s lives, offering assistance to their problems and treating them with compassion and respect. But with a few exceptions, the adult characters are mean-spirited and eventually defeated. Ellis’s cleverly crafted tales will encourage children to stand up for themselves and take risks to solve their problems. But parents might want to read these stories with their children so they can add some context, answer questions that will inevitably follow, and explain why, in certain circumstances, rules should be broken.